Friday, January 25th, 2019, 8pm | Free. Rain or Shine. The French Horn Collective is an energetic and progressive band that performs an eclectic variety of Gypsy Jazz, Swing, and modern original French music throughout South Florida. 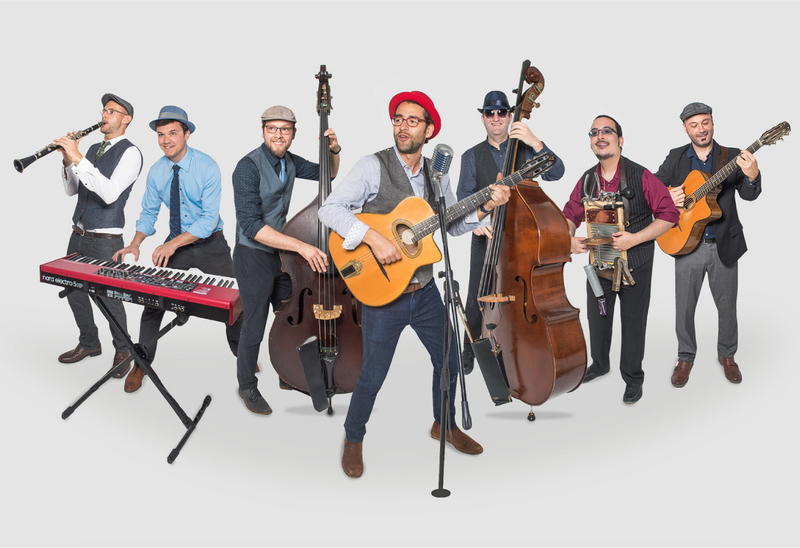 Led by Parisian musician, multi-instrumentalist, composer, singer and songwriter Vincent Raffard, the diverse group consists of anywhere from 3 to 8 highly talented musicians from a myriad of musical backgrounds, with instrumentation including trumpet, guitar, violin, double bass, clarinet, and vocals. The French Horn Collective’s wide variety of musical influences, ranging from Gypsy Jazz, Hot Swing, Ska, to Polka, result in the band producing a smooth mixture of progressive Gypsy/Parisian/Swing/World Music. The French Horn Collective has just released a new album “The French Horn Collective: Hot Club of Miami”. 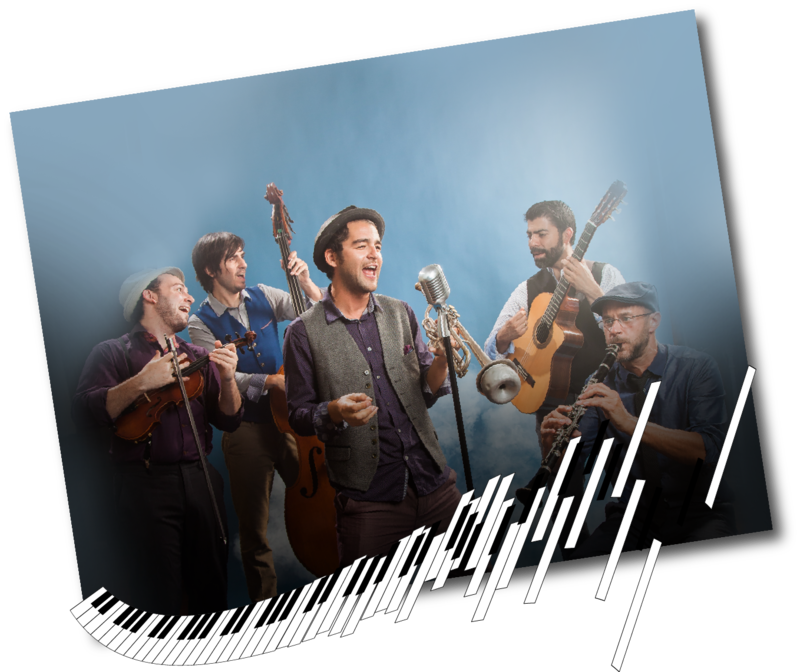 Full of exciting Gypsy Jazz and Swing tunes along with classic French songs, the “Hot Club of Miami” represents the Gypsy chapter of the French horn. The French Horn’s Gypsy project consists of traditional acoustic instruments from the Gypsy Jazz genre. They can be seen and heard performing live almost every night in South Florida. The band performs in many settings, ranging from big stages, festivals, restaurants, bars, private parties, radio shows, corporate affairs, and even burlesque acts, with personnel ranging from a small trio to a large 8 piece band. Open 7 – 10pm, pay as you wish for admission to the museum during Jazz at MOCA.